The guys at TGauge.com continue to do ever more crazy stuff in this scale! The great folks at Tgauge.com recently held a giveaway on the Facebook group for the new etched brass fences that they've brought out. Well, I entered and won one! Awesome! 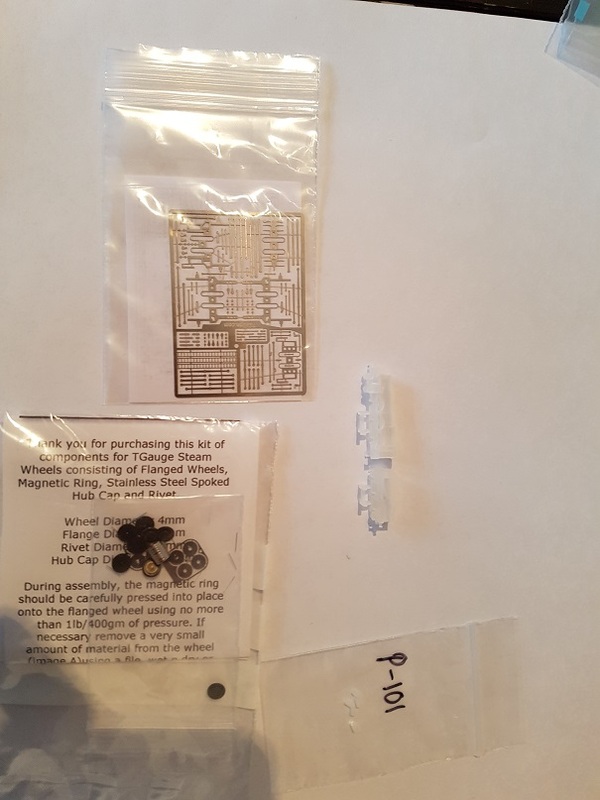 It arrived today in the post. 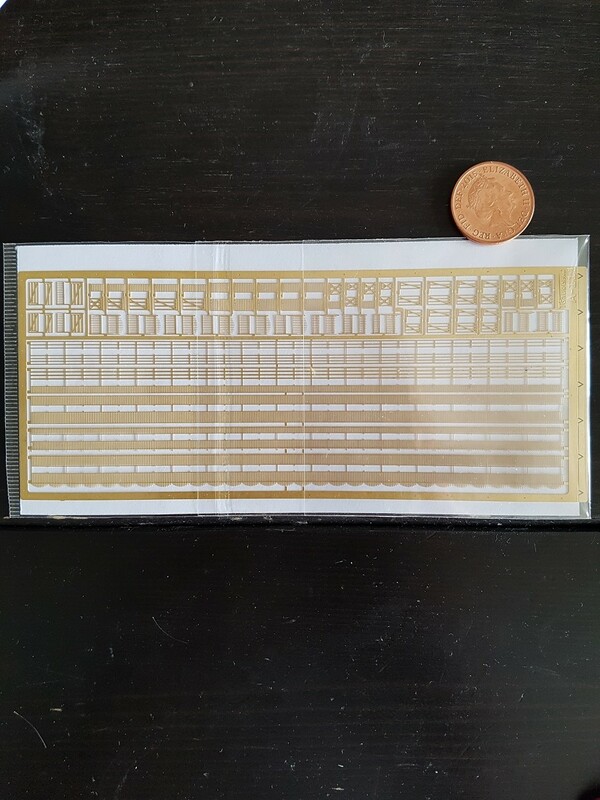 The brass sheet features a variety of different fence types and sizes and accompanying gates. All told, there's 600m of fencing on this one etched sheet. Possibly the smallest working level crossing in the world! I made my level crossing functional using a OO level crossing motor set from www.heathcote-electronics.co.uk. Welding wire was bent to shape to attach the gates to the servos, and with the help of a lot of swearing and patience I got it all to work. Zoomed in camera is a little unkind to T gauge sometimes and this feels a bit like that now. My painting of the gates isn't that great and they both snapped at one point so the joins aren't perfect with superglue. Also, apologies for the vertical camera, it was the only way I could get my phone into the right position. 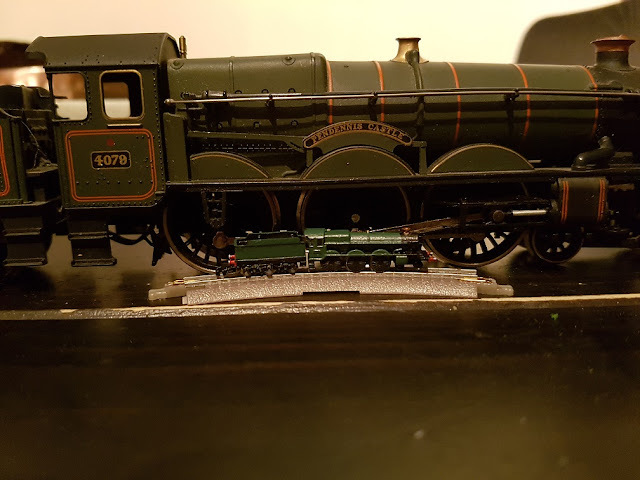 I have the GWR Castle class 3d printed from Shapeways, the new loco wheels and etched set of rods from Tgauge.com and some determination. 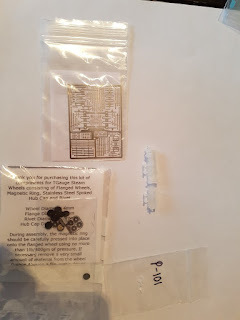 I didn't realise how tiny the bits would be till they arrived in the post. The assembly of the wheels was much harder than I thought it would be. I thought they would just slot into the axles and job done. It wasn't that simple, after some trial and error and swearing, I eventually worked out a method that works (kind of). I filed the pointy bit on the back of the wheel that slots into the axle to a sharper pointy bit and that helped slot it together with some brute force. The magnetic tyres and the etched facias went on without any problems though. Just needed a bit of super glue. Next stage was wheels onto body. The back to back width between the wheels was tighter than the width given on the loco chassis and much filing and trimming was done to make them fit (very very carefully with an electric drill with a rotary file). I'm still not sure they will be particularly free running when its finished. The tender wheels fit fine using the normal T gauge coach bogie wheels. But there doesn't seem to be any way of securing it all. I had to file the area down and screw on a bogie and a half and it still looks ok. The bonus of using the bogie is that it solved the problem of attaching the coupling. The tender was fitted with a loop made of wire to attach it to the main loco, much like in a normal OO model loco with a loop and pin type attachment. Then I painted it, that was the easiest part. OO gauge castle class behind it for scale. 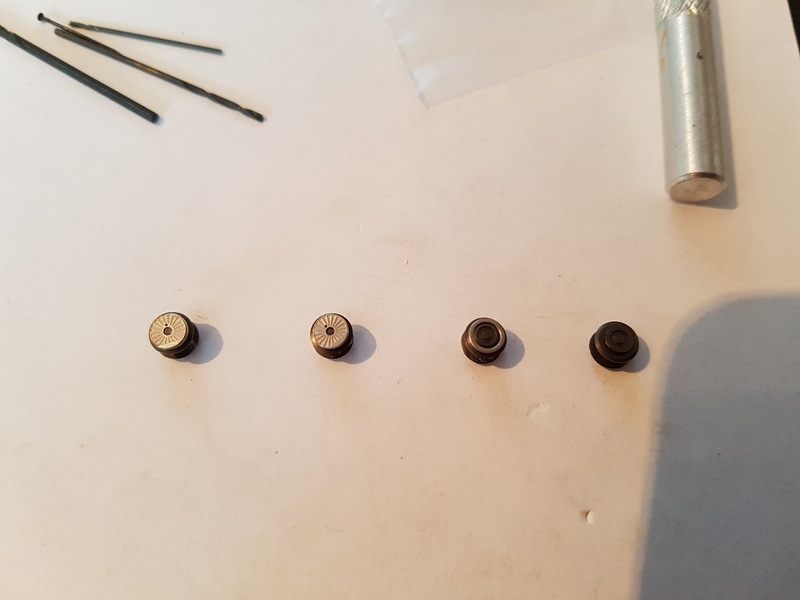 Now I'm just waiting for some 0.2mm drill bits to arrive in the post so I can do the rod work. Just finished painting my 4 coach set of Mk 1 coaches and class 25 diesel for the Wimbledon Model Railway exhibition next weekend. 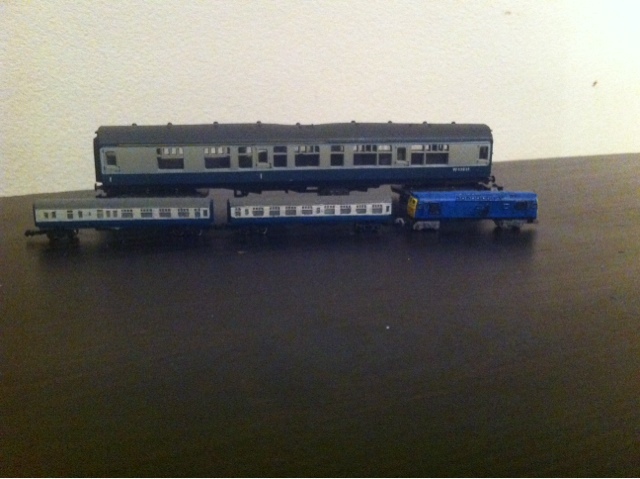 Working on some new rolling stock with bodies from shapeways. 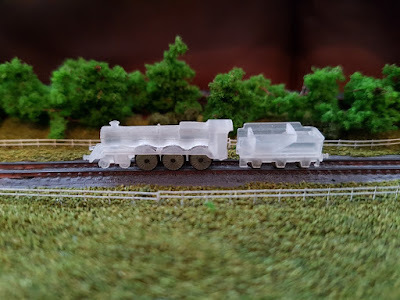 The coach in the background is N gauge for size comparison. 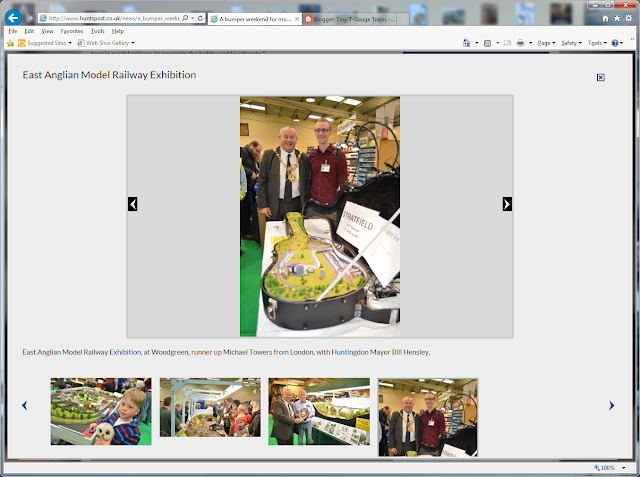 Runner up at the East Anglia Model Railway Exhibition in Huntingdon! Last weekend was the St. Neots Model Railway Club's exhibition in Huntingdon/Godmanchester and I took along my guitar case. The layout gathered lots of attention from all ages, particularly because of my 'Eyesight Test' for the layout where people had to find 10 people etc. on the layout. Lots of people from 5 year olds to battle hardened railway exhibitors had a go at it, most managing to find all the tiny details. I was very surprised when after the Mayor of Huntingdon had awarded the Best in Show award to the amazing 2mm finescale layout "Fence Houses", he came over to my layout with his entourage and said that if he could have given out an award for second place I would have got it. I was and still am flabbergasted. Thank you Mr. Mayor! 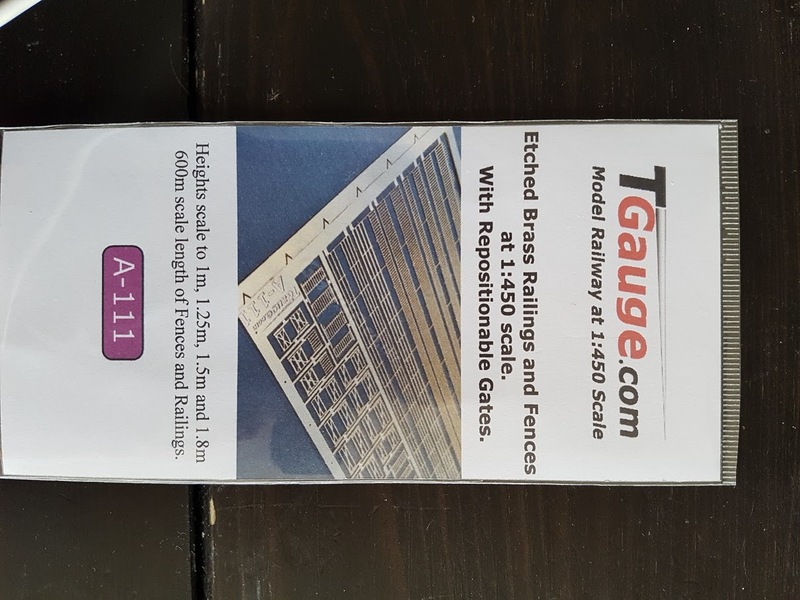 My first T Gauge set!